The apple certainly doesn’t fall far from the tree as the Callum brothers are both design heads at major automotive companies. Moray Callum is the VP of design for Ford while Ian Callum manages the entire design department at Jaguar Land Rover. Both have been playing with car designs since they were in primary school…. 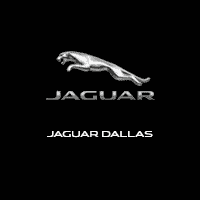 IMPRESSIVE GROWTH FOR JAGUAR, WHAT’S NEXT? As Jaguar Land Rover is moving toward electrification, they’ve introduced new classifications for the vehicle powertrain. Many automobile manufacturers have previously depended on the displacement of the engine for powertrain classification. With the advancements in hybrid offerings, it has become harder for the brand to classify the powertrain when it involves batteries and electric motors….